Iran Air, Iran’s national flag carrier, took delivery of its first four ATR 72-600s. ATR and Iran Air signed earlier this year a contract for 20 ATR 72-600s and overviewed options for a further 20. Deliveries of the first 20 aircraft will extend until the end of 2018. Following the relief of international sanctions on Iran, there is a major need to modernise and develop air transportation to boost local economies throughout the country and improve connectivity between the regions. Iran relies on a strong domestic infrastructure that numbers 60 airports that the ATRs are fully capable of serving. The ATR 72-600 is ideal for operations in many types of challenging environments, including small airfields, unpaved runways and mountainous regions. 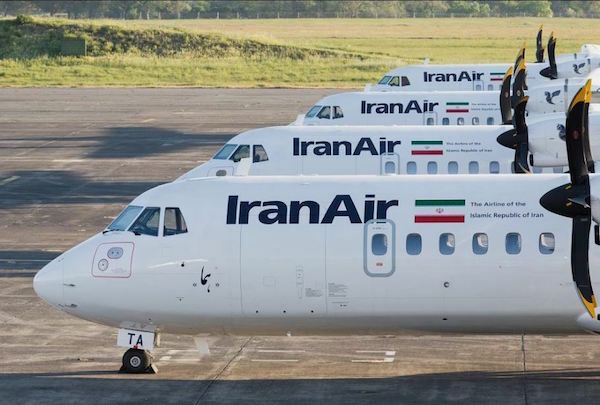 The ATR 72-600 will form the core of the regional aircraft of the Iran Air fleet and will substantially contribute to the expansion and development of the services provided by the national airline across the country. Iran Air was created in 1961 from the merge of former Iranian Airways and Pars Airways, and commenced its activities in April 1962. Among the reasons of its creation, there was the need to answer to the demand of domestic air travel. At present, Iran Air flies to 35 international and 25 domestic destinations.